I can’t quite believe summer is nearly over! The days are getting noticeably shorter, and the weather is more temperamental. This bowl cheered me up with its summery flavours. It can easily be adapted to be vegan etc by using a different protein. 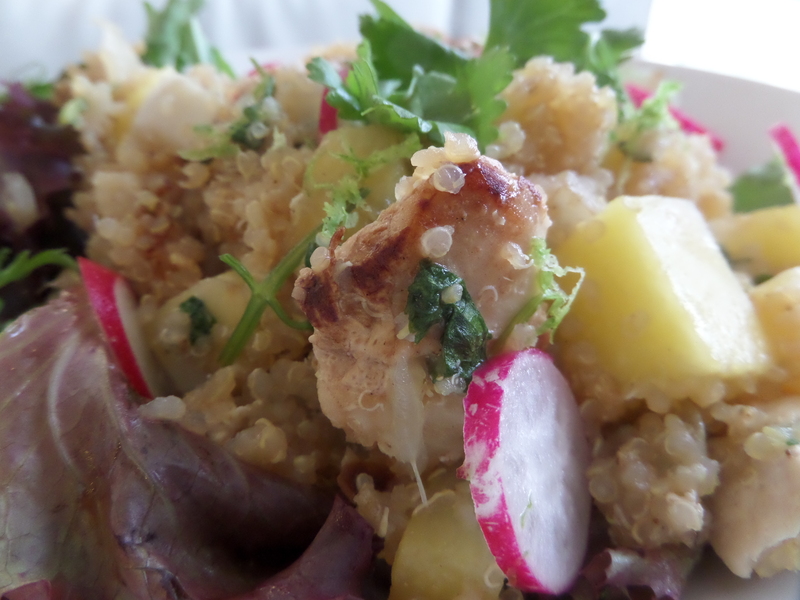 I cooked 1 cup quinoa in chicken stock (you could use vegetable stock/water). Whilst that was going on, I pan-fried 400g chicken with 1 large onion in coconut oil. 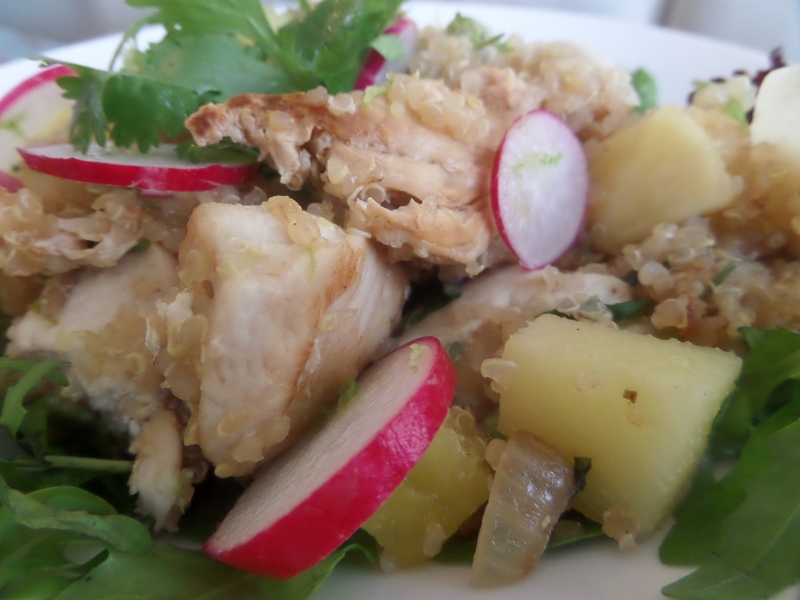 Once nearly cooked through, I added the cooked quinoa, about 2 cups diced pineapple and some chopped parsley and coriander. I added a squeeze of lime and a pinch of lime zest to finish, along with some finely sliced radishes for a bit of crunch and a pop of colour! 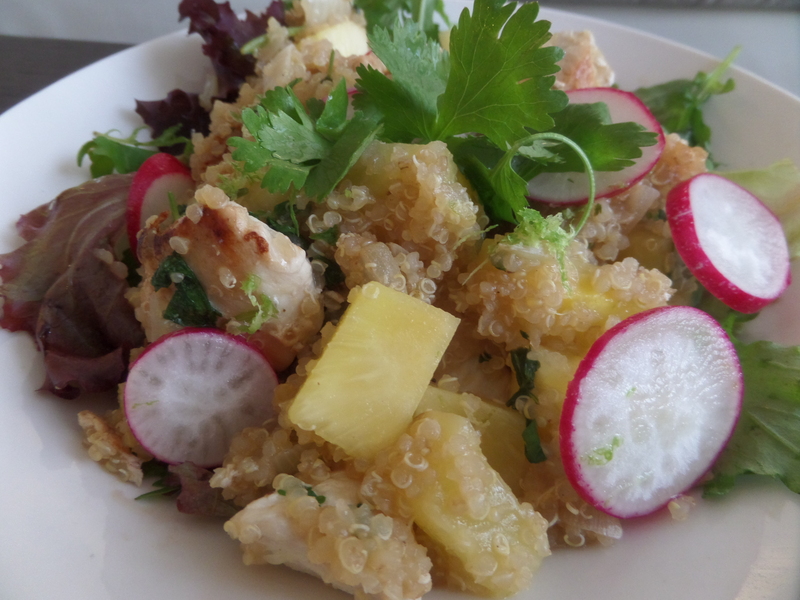 Posted in chicken, dinner, lunch, saladTagged chicken, coriander, lime, parsley, pineapple, quinoa, radishBookmark the permalink.